Proper management skills are required by both trading and services businesses. 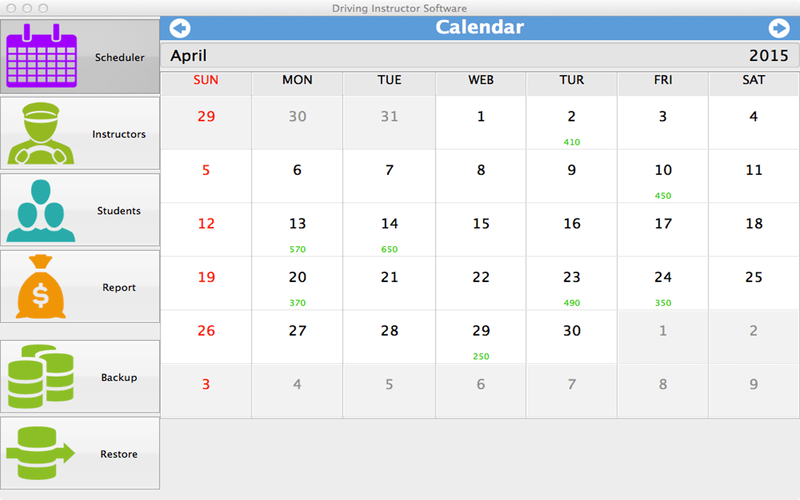 Driving Instructor Software centers one such services business, the driving schools. 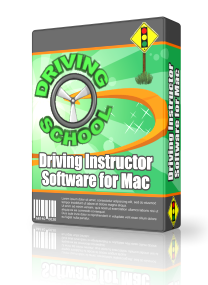 Designed specifically to be used for Mac (OS X), this special software can be used efficiently by owners of driving schools, their operators, managers and even independent instructors. The software contributes considerably in keeping track of all lessons and financial records of the driving school within its database. Users can also manage all customer’s details, information, appointments and schedules in this program and refer to them later on whenever the need arises. These details can also be edited or changed at any time. The Students section holds complete details of every student that is trained in the school. Details include work/hire/mobile number, address and email. 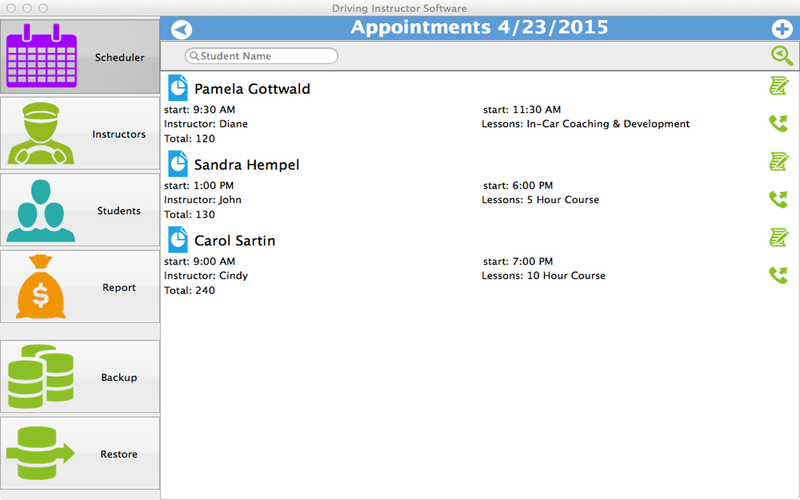 The Driving Instructor Software can be used for quick viewing of the students’ lists and accordingly new appointments can be fixed. 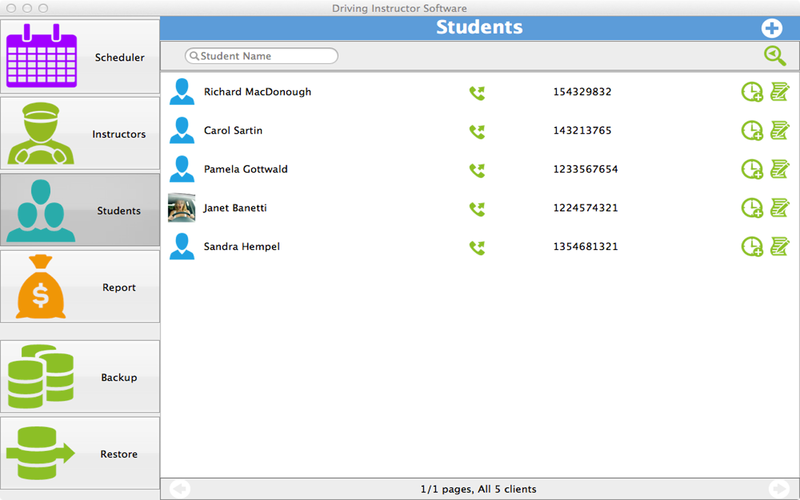 The program also offers the choice of calling instructors or students directly to their Skype IDs. 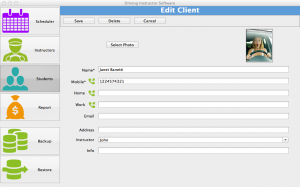 Direct phone calls can also be made from the program. The Reports section offer us full financial details of earning calculated daily and presented on an accumulated basis, each day. You can also separately check the earnings based on how much a client paid for the services acquired. The reports section also allows you to add in any special details related to a client, service or an instructor. Special notes relating to a certain vehicle such as maintenance, etc can also be saved in the section for future reference. Reports of earnings can easily be checked in the program of any desired duration required. 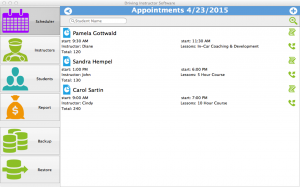 The Scheduler opens in form of a calendar for the user facilitating easy viewing of appointment slots, job details, timings, who offered the service (instructor’s name) and earnings of everyday. The total earning of a day is shown over the top end of every date. Through instantly flipping through the calendar, the user can gather so much information related to the services in a matter of minutes. To keep all your information in the program database safe, Driving Instructor Software also offers the provision of making the program database compatible with other mobile devices such as Windows Phone and Android. Not only will this option offer a backup solution but will also make it possible for the user to use the program on other devices. 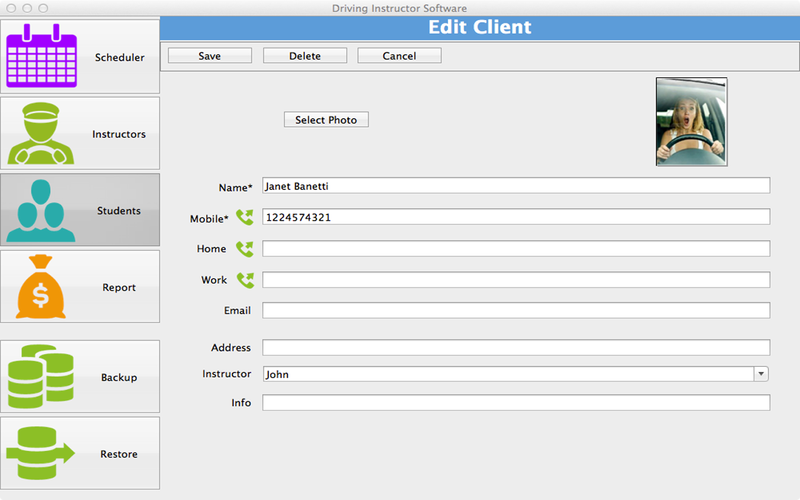 (To make Driving Instructor Software compatible with other devices, special programs are required to be installed which are available from respective stores).